You cannot just upload videos on YouTube and expect them to ‘Go Viral’. It’s no rocket science that YouTube is becoming a prodigious platform used by teeming millions. In today’s world, companies have to create a groundbreaking digital marketing strategy to get the audience to set their eyes on their brand. So how do you get people to watch your video amongst millions of others? The answer is pretty simple – optimize your videos so that they can reach the correct target audience. It goes without saying that your brand should have a YouTube channel and videos should be uploaded regularly. Step 1: First of all, create a Gmail account of your brand, or if you already have an account, make sure to sign in with your brand’s account. Step 2: After signing in you have to click on My Channel, where you will be asked to name your channel. Ideally the channel name should be the name of your brand. 1. Dress Up Your YouTube Channel: The key for selecting the right display picture is to choose something that will make the display picture look alluring enough on multiple devices. You have an option of viewing how your channel art appears on devices like desktop, mobile, tablets, etc. Use artwork that will draw your viewer’s attention. The size of the channel art recommended by YouTube is 2560 x 1440 px. 2. 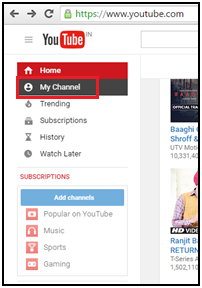 Flaunt With a Description: Remember that your channel name and description won’t just appear on your home page but also in searches and suggested channel categories across YouTube. So, you have to make sure it is appealing enough to get some kind of traffic. This description needs to highlight the most important services/products of your brand. The description can be found on the home page of your channel. 3. Insert Significant Channel Tags: Most people don’t realize that tags can be included for the channel itself. Channel tags are like the tags for your entire YouTube channel. The tags that you use for your website can very well be incorporated in the ‘Channel Keyword’ section. Including these tags will help in providing to Google and YouTube information on what your channel is about. This will show up in the search results when people search for similar tags or phrases. You can find the channel tags hidden in the ‘Advanced Settings’ of your channel settings. 4. 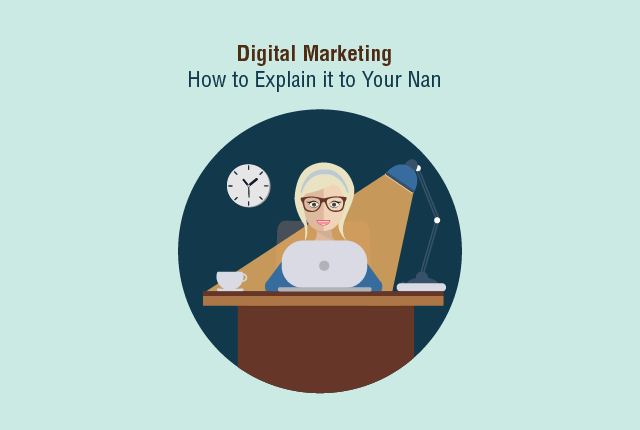 The Name Does Matter: Title of the video is one of the most important pieces of content on the page which can compel users to click on that play button. The video file name is not visible to the user, and many a times people unwittingly skip renaming the video file which they upload. The file name is useful for making the search crawler aware of the topic of your video. YouTube gives more preference to videos with properly optimized file names and tags. The title should not exceed 55-60 characters. Don’t forget to add a relevant tag at the beginning of the title. 5. Compile a Lengthy, Unique Video Description: Search engines bots of Google and YouTube cannot perceive your videos if you do not have an apt description, and hence it becomes imperative to write long descriptions containing relevant tags and links to your website for better search engine optimization. Make sure to include the tags in the first 25-30 words of your description (the tag can be used a couple of times). Append your website link to the top of the description. After uploading the video, the following page will be displayed. The description goes into the red highlighted box. 6. Choose Appropriate Video Tags: YouTube is the second largest search engine. Ranking on YouTube is great but when your videos rank favourably on Google, it’s even better. Just like optimizing websites, videos can also be optimized using appropriate SEO tags. For example, if someone is searching for a video of ‘Cute Babies Playing’ they surely don’t want to see results like “5 ways in which cute babies play” or articles like “10 ways to make babies look cute”. It just doesn’t make any sense. Hence, proper optimization for tags is necessary. 7. Tags, Tags and More Tags: Video tags can be inserted in the ‘Tags’ section of YouTube videos. This is the section where those extra tags can be targeted. Here, you can smartly start adding those extra tags. Just below the description is the ‘Tags’ section. 8. Select an Eye-Catching Thumbnail: What really makes your video stand out among millions of others on YouTube? Using an eye-catching thumbnail can surely make your video draw attention. You can choose your thumbnail below the ‘Description’ box. 9. Get Friendly With Annotations & CTA Buttons: Including Call-to-Actions (CTA) and annotations in between or at the end of your video encourages users to click and subscribe/like/comment/share your video which ultimately sends a strong message to YouTube that you have some interesting content in your video which is liked by users. It also helps to boost rankings. After you publish the video, the below screen will appear. By clicking on the ‘Edit’ button, a notable list of options will show up in the drop-down menu including Annotations, Subtitles and CC. There are 5 types of annotations, namely – Speech Bubble, Note, Title, Spotlight and Label. If needed, these annotations can be linked to another video, playlist, channel, or even a Google+ page. You can also subscribe to the channel or utilize it for crowd funding. 10. 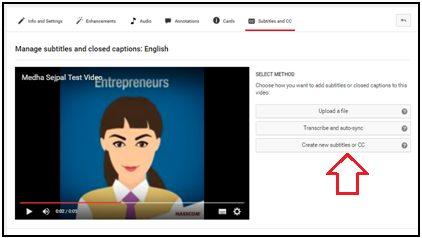 Using Subtitles & Closed Captions: Captions in your videos enable users to understand the verbal content of the video. These captions are crawlable by the search engines. Using subtitles is another great way to improve rankings of your videos on YouTube as well as Google. Selecting the option of Subtitles and CC from the ‘Annotations’ section and uploading your own subtitle file helps boost rankings. 11. Construct a Keyword-Rich Playlist: Categorize your videos and compile them into a playlist. A keyword-rich playlist is bound to get more views which will increase the SEO power of your video. Playlists act as a social signal to users searching for similar content. 12. Social Seeding for Your Videos: Social media platforms have changed the way users interact online. Google takes into account the number of likes, shares and tweets that your video receives, allowing your video to get noticed. 13. 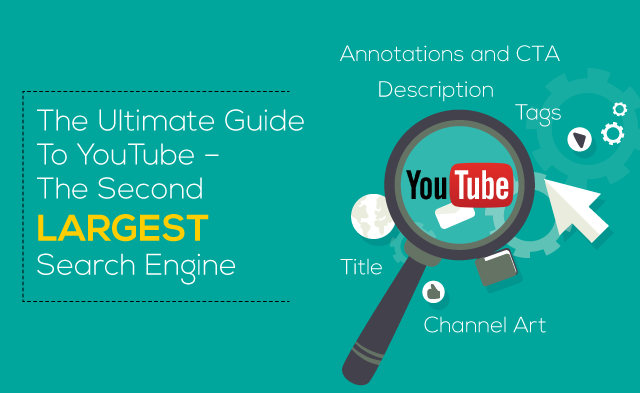 Length of Video: With the constantly evolving YouTube search algorithm, it is necessary to create videos that will keep the users engaged, because in the end YouTube will take the factors such as number of comments on your video, number of times your video has been shared/viewed, and average viewing duration of your video into consideration. There is no hard and fast rule as to what should be the length of your video, but making your videos at least 2 minutes in length can help. 14. A Transcript for Video Captioning: A transcript file contains the text of what is said in the video. 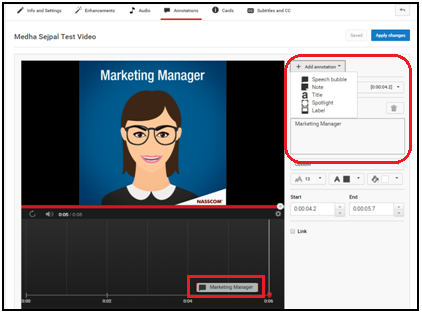 YouTube indexes the caption file for better understanding the video tags relevancy. Uploading your own transcript file allows you to control what content appears in your videos rather than depending on the file created by YouTube itself. Your keyword-rich transcript file will be used by YouTube to rank your videos appropriately in the search results. 15. Uploading Videos on a Regular Basis: YouTube encourages new and refreshed content. Regularly updating your channel will let YouTube know about the relevance of your video. If your channel meets all of the above criteria, you can change the channel URL. But remember, the URL can only be changed ONCE. In the end, what really matters is a good quality video with interesting content which keeps users engaged till the last scene. 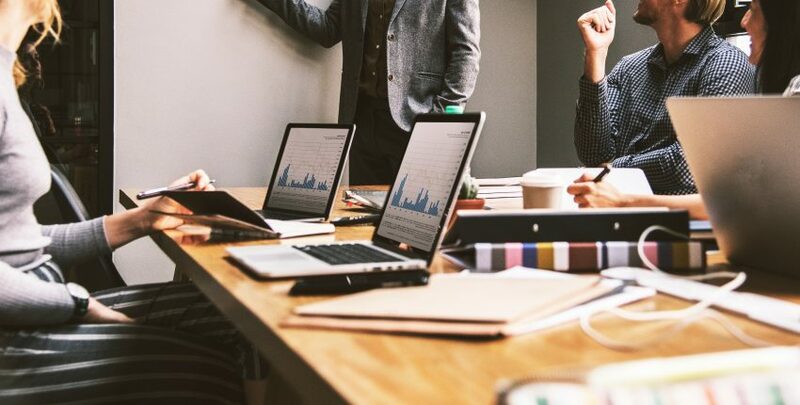 Take due time to optimize your channel and videos from an SEO perspective to get considerably more traffic than your competitors. 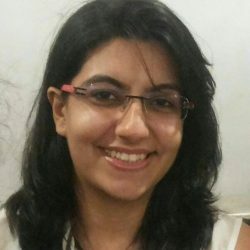 Medha Sejpal is a Senior SEO Executive at Ethinos. 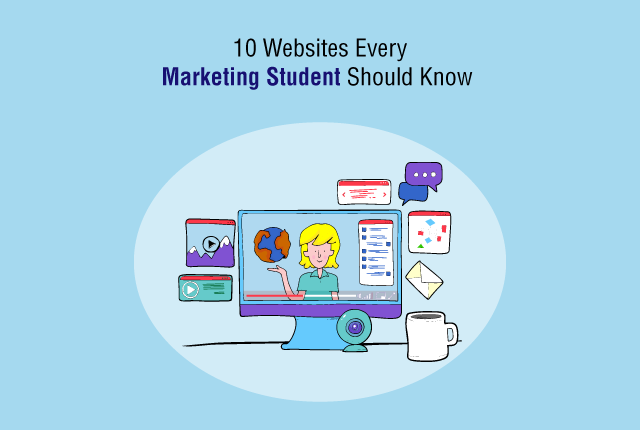 She loves reading and researching about web technologies. When free from the digital world, Medha indulges herself into music & cooking.